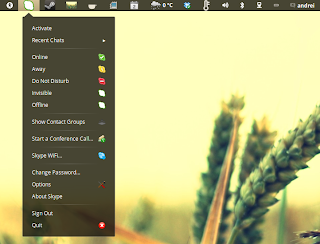 A new extension adds native-looking Ubuntu Unity like AppIndicator support for GNOME Shell, a feature for which some patches were submited more than a year ago, but they were rejected because the feature "conflicts with the design". 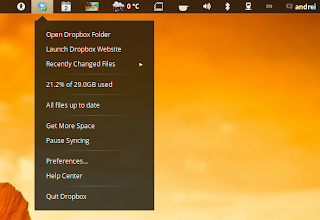 AppIndicators have are widely used now, with Ubuntu disabling the message tray (systray) by default, and popular applications like Dropbox or Steam come with AppIndicator support by default. AppIndicator support for GNOME Shell is a GNOME Shell extension, which, like the name says, integrates AppIndicators into GNOME Shell and it's based on the original patches I've mentioned above, created by Giovanni Campagna. The extension is a bit rough on the edges, but it generally works well and is basically the same as in Unity, but using GNOME Shell's theming / style. In my short test, there was only one AppIndicator that didn't work: ClassicMenu Indicator, which is probably related to its multiple submenus, but other than that, all the AppIndicators that I've tried worked as expected, and I've tried quite a few, including Steam, Calendar Indicator, Skype (which uses sni-qt as it doesn't come with AppIndicator support by default - this is used by all Qt apps), Psensor, Caffeine, Everpad, Variety, My Weather Indicator and Dropbox. 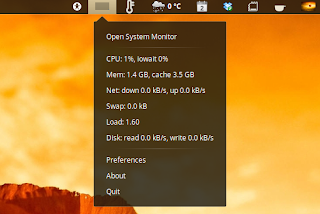 Even the Ubuntu Network Manager indicator (a system indicator) has showed up. As you can see, however, the AppIndicator icons look a lot better on the top panel. 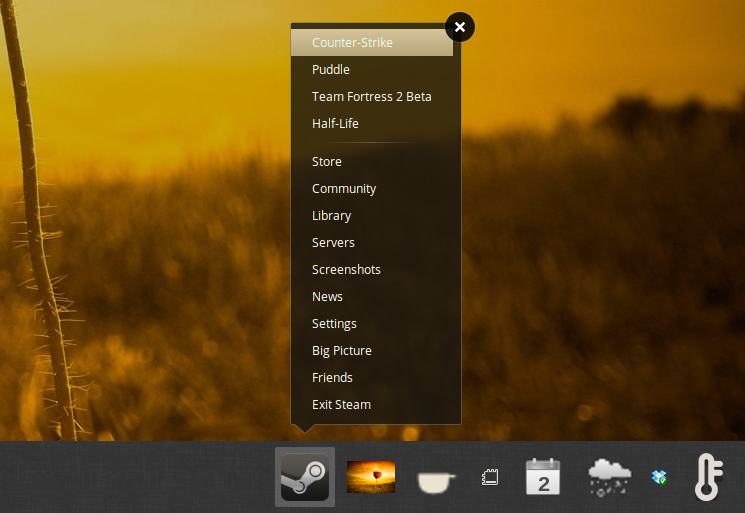 The icons don't match those used in Unity though, so they don't have a consistent look. 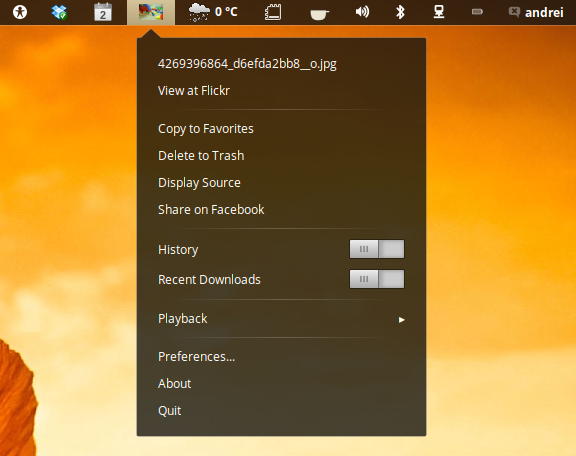 overlay icons, icons pixmaps and tooltips. So what's next? Maybe proper Unity-like AppMenu (global menu) support? Some users sure hope so and this may be a step in that direction. I've tested the AppIndicator extension using GNOME Shell 3.6 (in Ubuntu 13.04 Raring Ringtail) and looking at the metadata file, that's the only GNOME Shell version it supports right now. 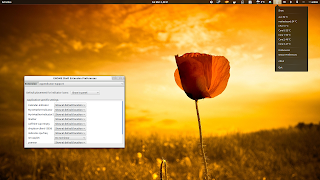 Update: the theme should also work with GNOME Shell versions newer than 3.6 - simply change the GNOME Shell version in the metadata file under ~/.local/share/gnome-shell/extensions/appindicatorsupport@rgcjonas.gmail.com/ (thanks to Mathias Rudolf for the confirmation). 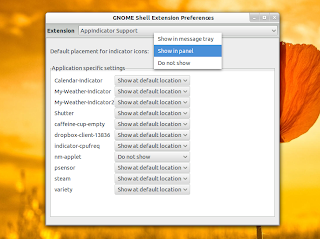 You can install AppIndicator Support GNOME Shell extension from extensions.gnome.org or get the code via GitHub. Important: by default, the AppIndicators will be displayed at the bottom, in the Message Tray. To change their position, use the built-in tool by clicking on the settings icon next to the extension name, either on the website or in GNOME Tweak Tool. The extension has just been released so you may find bugs. In case you do, report them @ GitHub.